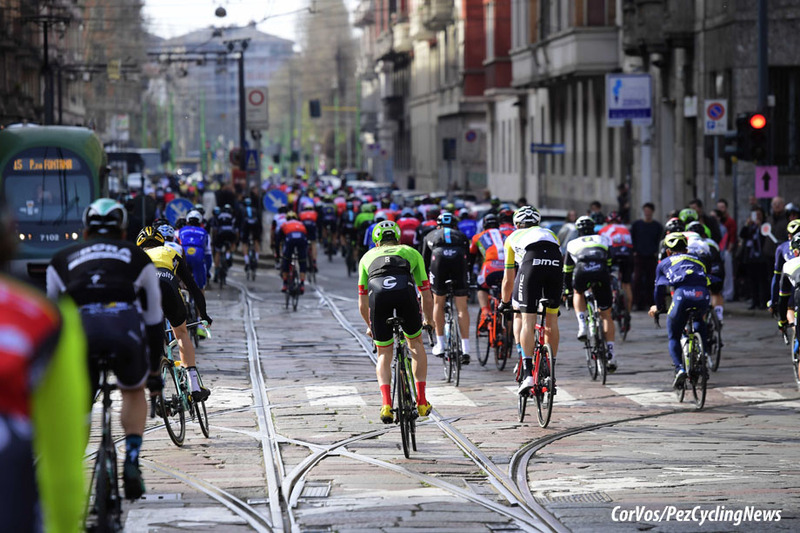 Primavera Race Preview: On Saturday morning the longest and most beautiful one-day Classic of the season rolls out of Milan and heads for the Mediterranean City of Sanremo. There isn't a rider who would not love to win the 'Primavera' and it's a race in which the sprinters and rouleurs have a chance. 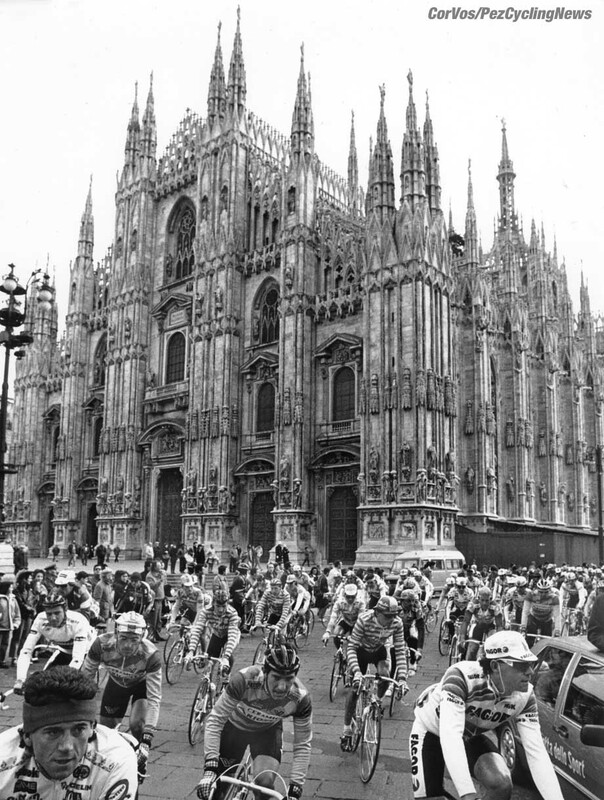 Ed Hood has the low-down on 'La Classicissima'. Many have sold their soul for less! 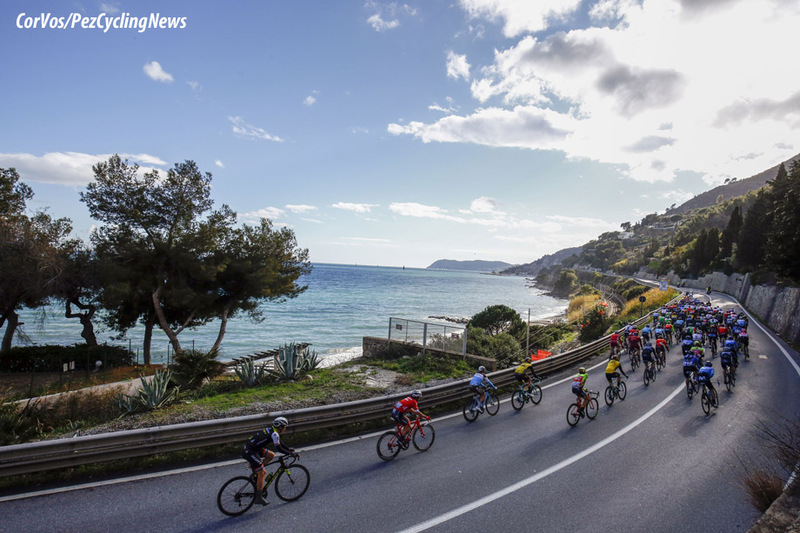 To most Italians – and me – it’s the most beautiful single day race in the world. Even its nickname, ‘the Primavera’ – ‘Spring time’ is beautiful and hopeful. 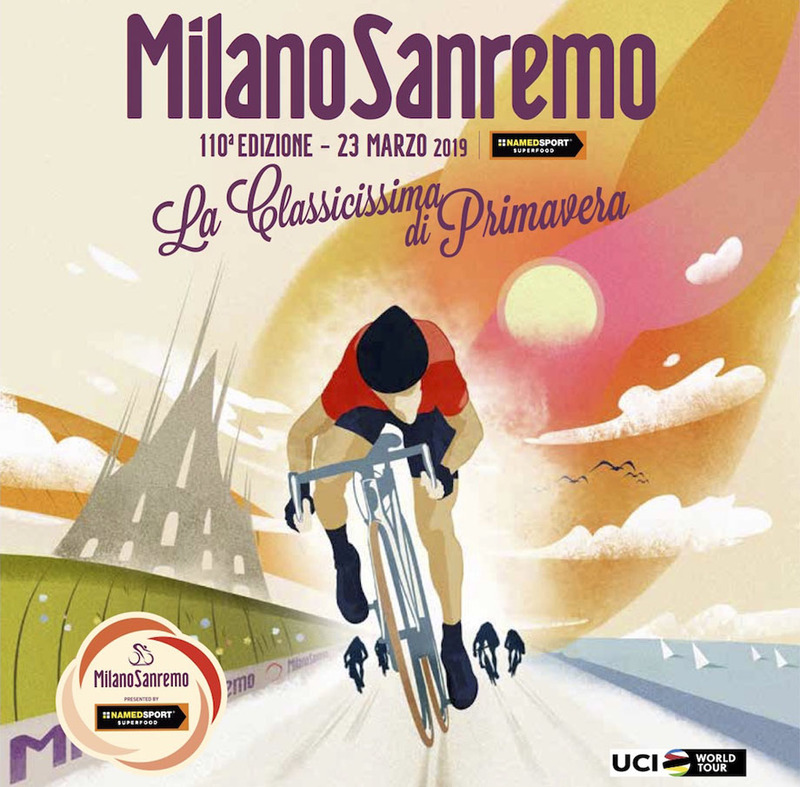 Milano-Sanremo; an epic, a saga, an opera with a phantasmagorical final act. The ‘Classicissima’ – the Classic of all Classics. 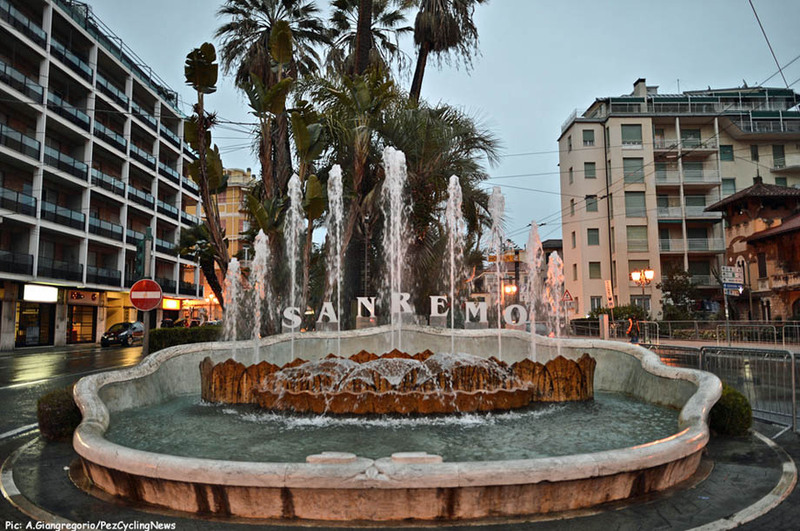 First run in 1907 this will be edition 110 – those who say the Strade Bianche should be the sixth ‘Monument’ please take note, that’s ONE HUNDRED and TEN – and like it says on the tin, it starts in cool, grey monumental Milano and finishes in mellow ‘City of Flowers’ Sanremo with it’s old money casinos and jazz festival. Things are less tense for the long trail across the plains with the population of every village along the way out to watch the race go by. The break of the day will squabble its way clear on this section with the Division Two teams desperate for that valuable TV time. At around 120K in, the second act begins with the start of the ascent of the Turchino Pass, a long drag which tops out at 142K before plunging to the sea; the bluer than blue Ligurian. 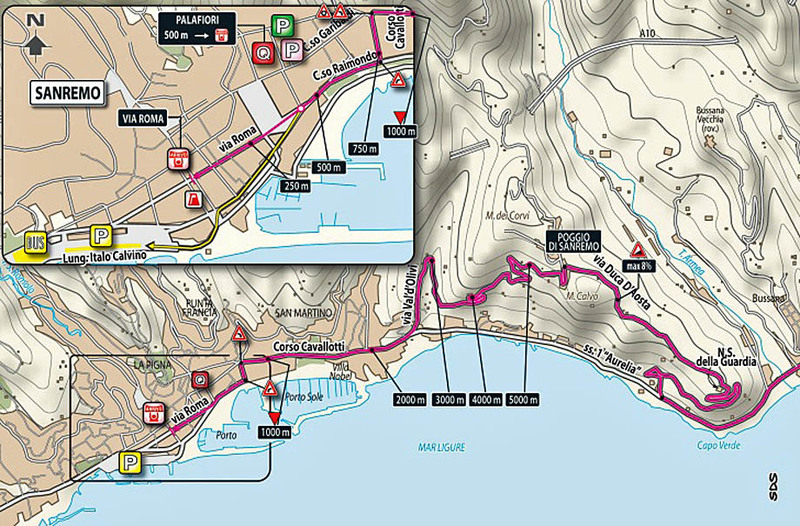 Arm warmers, gillets, capes all come off as the speed ramps up and up – what’s not apparent on TV is that the race progresses along the coast road in a series of huge surges – mega speed then a lull as the peloton re-fuels. But as Scottish ex-pro, Billy Bilsland always tells us; ‘the race is the last hour.’ And what a last hour and finale. The first of the three ‘capi’ – small hills which in other circumstances would hardly merit a mention – Capo Mele comes at 240K. But bear in mind that most pro races have already been finished for an hour at this point. 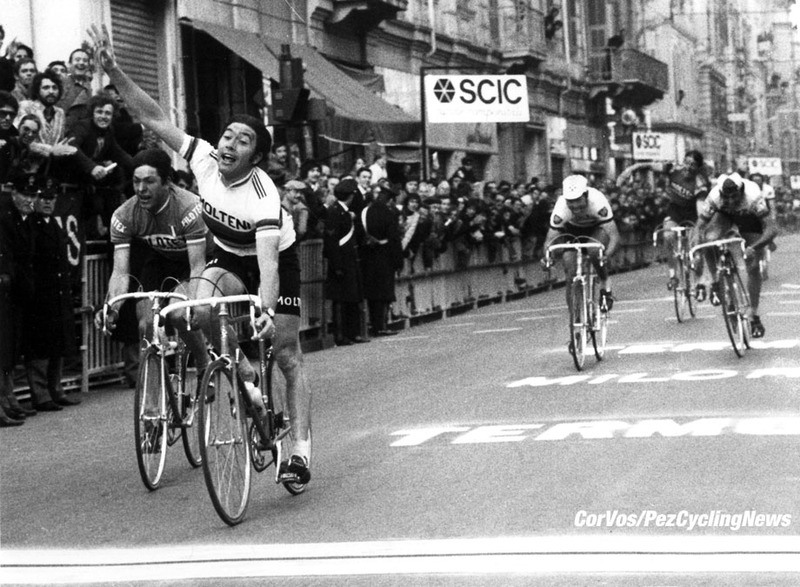 In quick succession come the Capo Cerva and Capo Berta then the hill that used to kill Super Mario and Cav – apart from their glory days – the Cipressa breaking the legs at 263K. The record for the Cipressa climb stands to Gabriele Colombo and Alexander Gontsjenkov with 9 minutes 19 seconds [36.71 kph] in 1996 when the stylish Italian won. 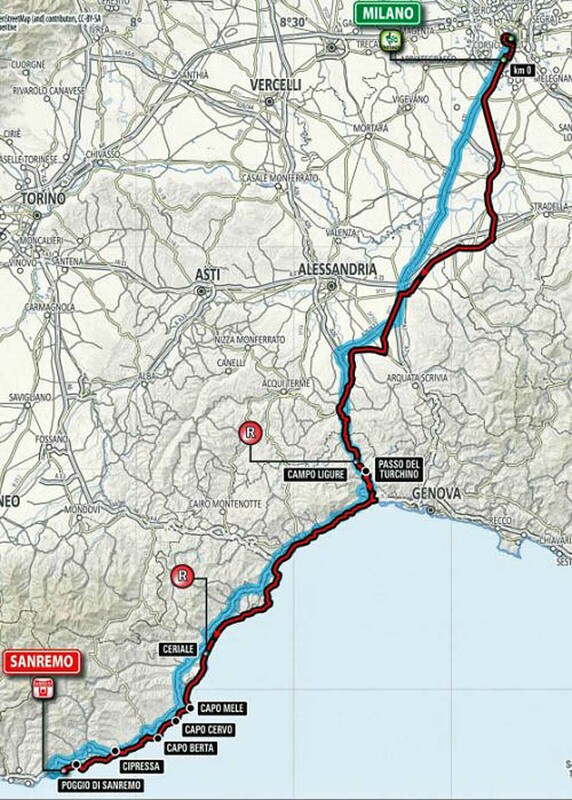 The drop back to the sea is taken with the desperation dialled up to nine; on the coast road the domestiques who know they can’t handle what’s to come will use their last ounces of energy to get their leaders into a favourable position for that most famous of finales – the Poggio. The record for the climb stands at 5 minutes 46 seconds - a stunning 38.50 kph - for Maurizio Fondriest (Italy) and Laurent Jalabert (France) when the latter won in 1995. 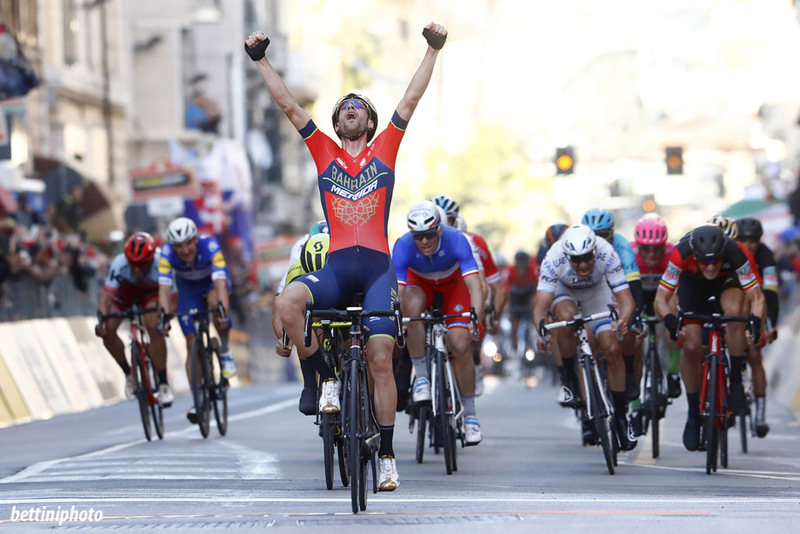 You can win it on The Poggio if you can get clear, descend like a man who has lost his senses and hold at bay at feral peloton through the streets of Sanremo – just like Vincenzo Nibali did last year. Will 2019 see a solo like The Shark’s, a sprint from a small group like 2017 or a mass charge of survivors like 2016? We’ll look at, ‘the men who can’ presently but first we best have some EH stats, surely? # First winner: Lucien Petit-Breton (France) - on a Bianchi bicycle - 281 kilometres at an average speed of 26.206 km/h. # Most wins: Eddy Merckx (Belgium), seven. # Most successes by nation: Italy 51, Belgium 20, France 13. # Most starts: Matteo Tossato (Italy), 17 starts with 16 finishes. # Youngest winner: Ugo Agostoni (Italy) in 1914 at 20 years 157 days; in modern times when Merckx won for the first time in 1966 he was just 20 years 276 days. # Oldest winner: Andre Tchmil (Belgium) in 1999 at 36 years 57 days. 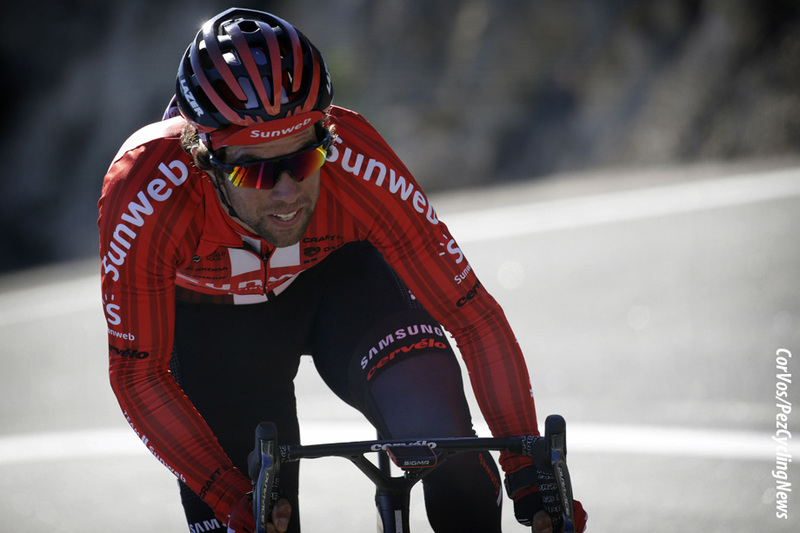 # Oldest starter 2019: Alejandro Valverde (Spain) 38 years 332 days. # Longest editions: from 2008 to 2012 the race distance was 298 kilometres PLUS neutralised section. # Last winner in the rainbow jersey: Giuseppe Saronni (Italy) 1983; Merckx did it twice, in ’72 and ’75. 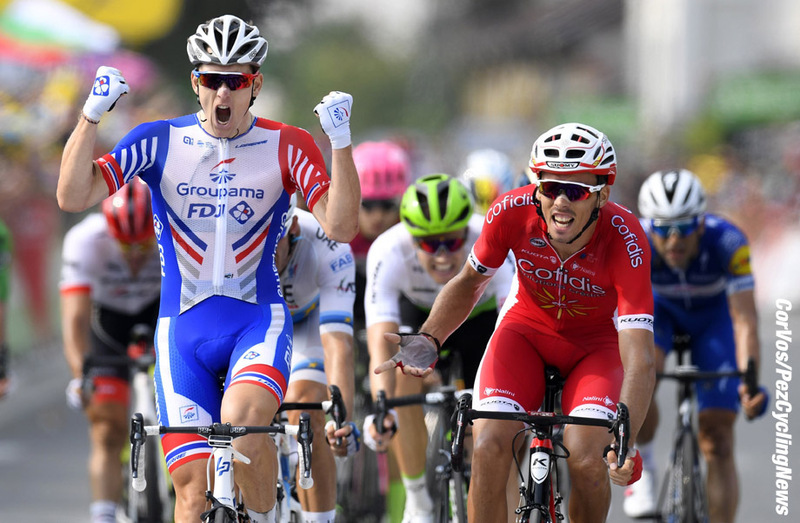 # Previous winners on the 2019 start line: four – Alex Kristoff (Norway), Vincenzo Nibali (Italy), Arnaud Démare (France) and John Degenkolb (Germany). # Winner’s purse this year: 20,000 Euros. Go back 20 years and you will not find one winner who was not one of the best riders of his generation or had been displaying excellent form coming in to the race. Only the ‘best of the best’ can win here. Was it a surprise win in 2018? He’s flying; five wins already including the Strade Bianche – and he was third here in 2017. 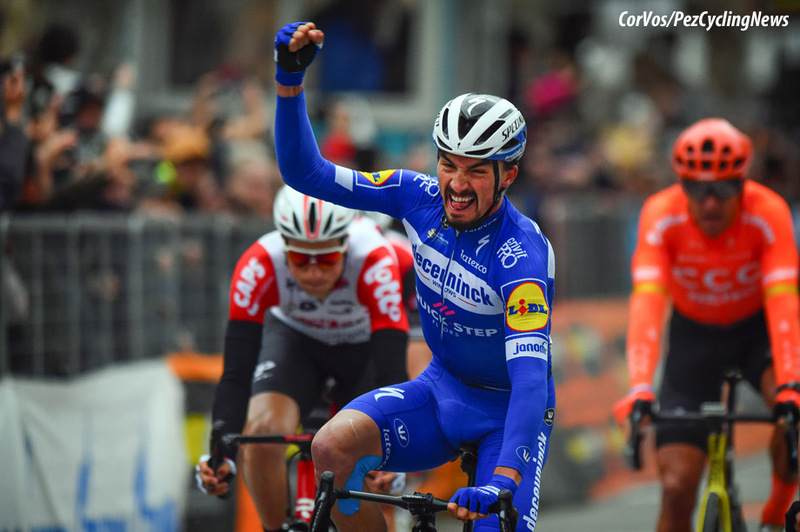 On Sunday I wrote; ‘it would have to be solo or from a small group’ but after he out dragged the pure sprinters on Monday afternoon in Tirreno he showed he can win any which way. 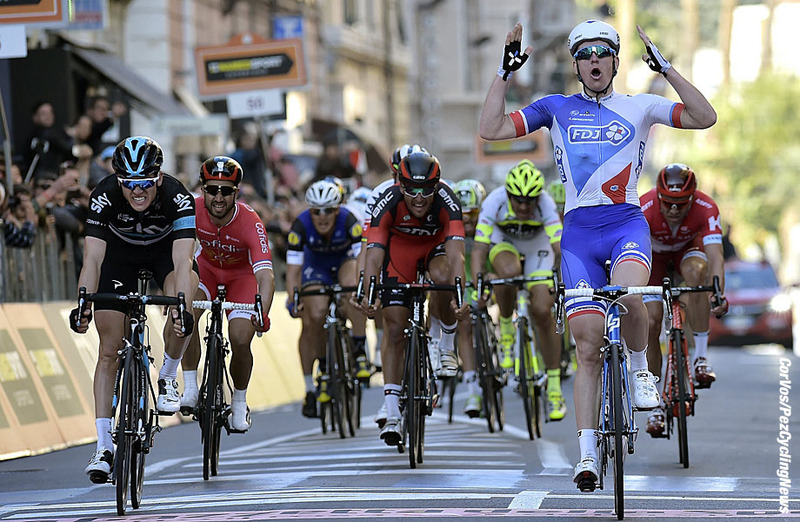 He’s now one of the very best with four wins this year including two in the cauldron of Paris-Nice. He’s ridden the race before so knows what to expect in that mad last hour. But it would have to be a group sprint. . . If proof was required that Démare’s 2016 Primavera win was no fluke and then his podium place last year provided it. He has three second places this year, with the most recent to Bennett in Paris-Nice – but 200K is one thing and 300K another. 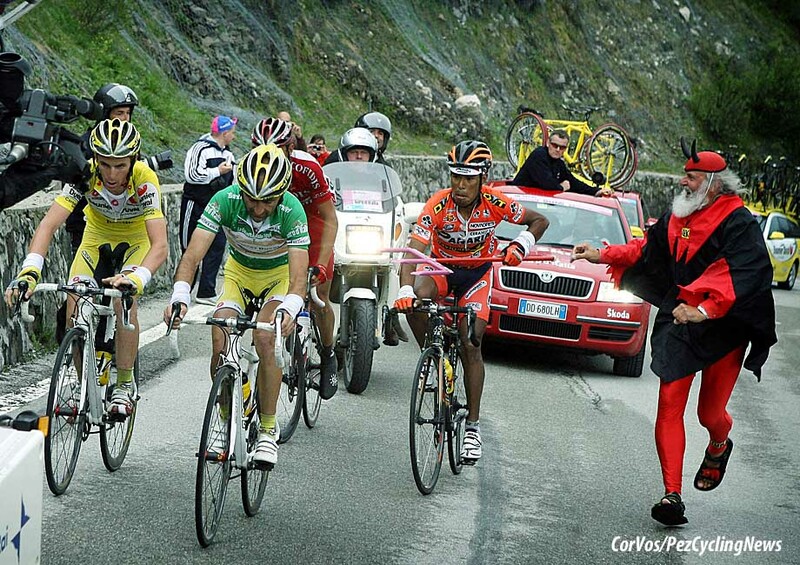 If it’s a group sprint he’ll be there. 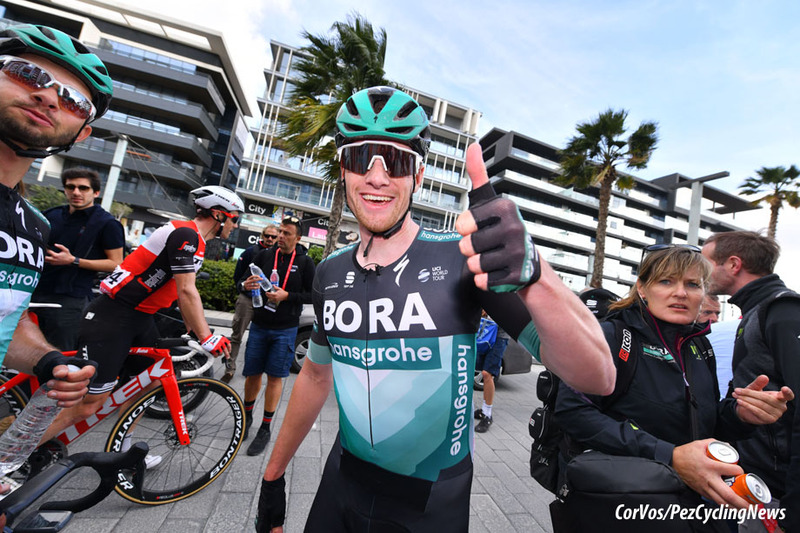 Podiums aplenty this year and a surprise win on the ramp to Hatta Dam in the UAE Tour – he was second here last year, it’s very possible if it comes to a group sprint especially if his big lead out man Roger Kluge can survive the Poggio. 2nd in 2018, 1st in 2019? 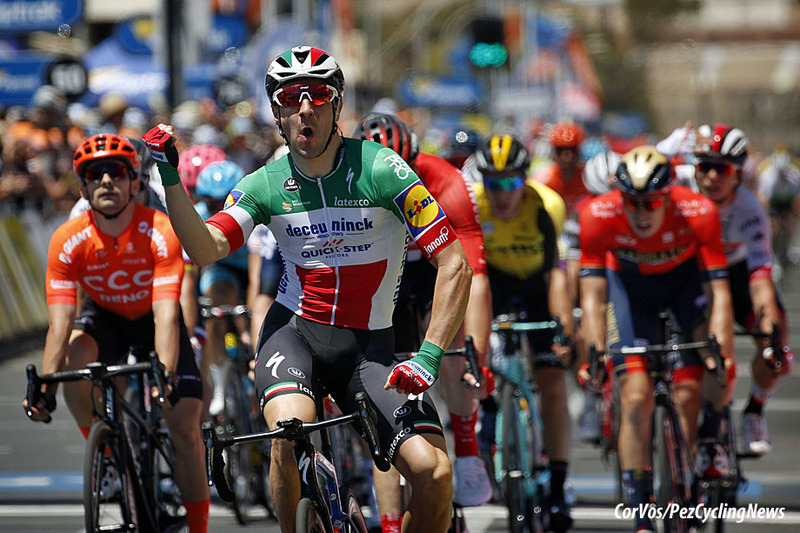 He has three wins in 2019 and has twice been a factor in the finalé in Sanremo – but for a crash he may already have won it. If it’s a group he’s always dangerous. 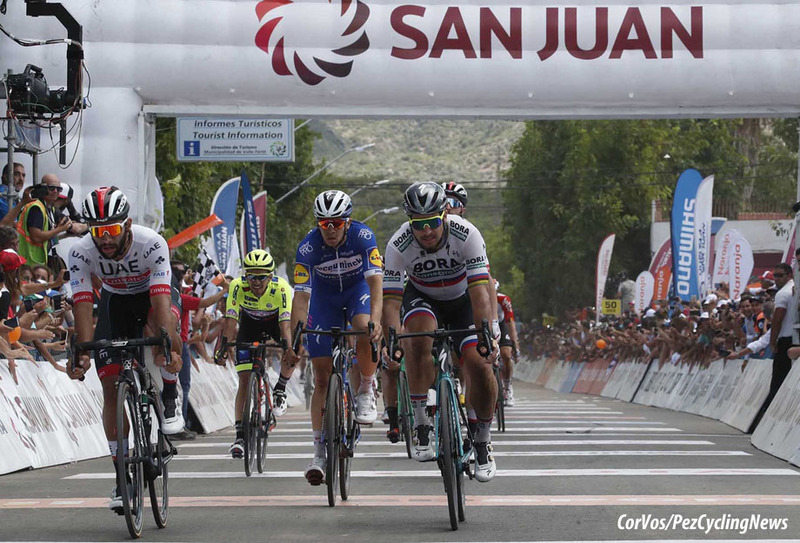 The big win for Gaviria? 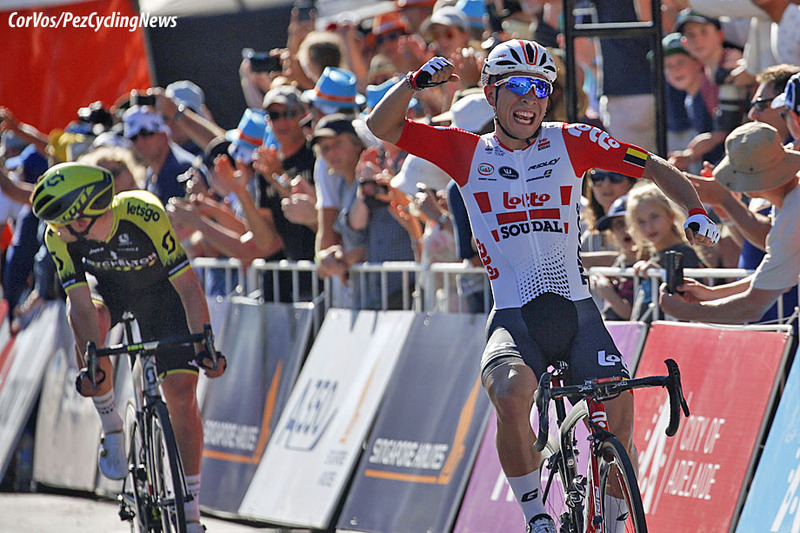 Last week the Dutch sprinter announced that he would not make his debut in Milan-San Remo until next year. But the Jumbo-Visma team management changed their program to send the Amsterdammer to the Primavera. 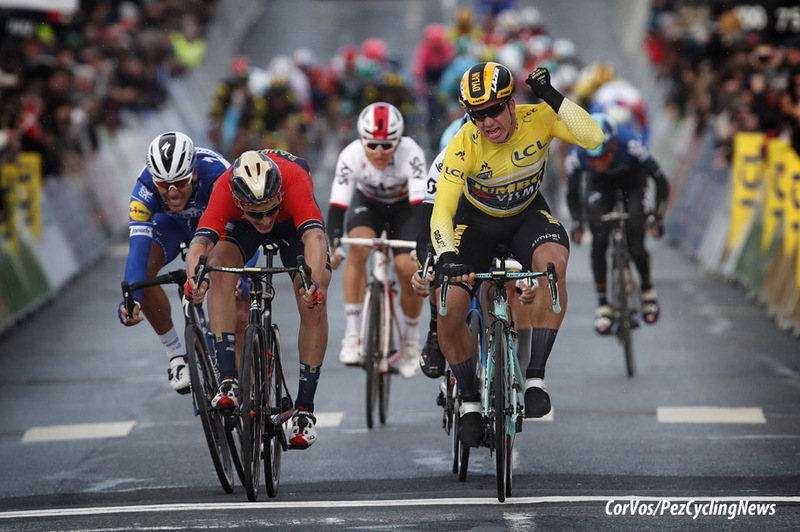 Groenewegen won two stages in Paris-Nice and will start in Milan-San Remo with the main objective of gaining experience. "That's the reason I start, I will probably fall short to participate in the win." 300 kilometres might just be too far. Perhaps not as ultimately quick as he once was – but a sprint after 300K isn’t a sprint after 200K. He’s raced a lot this year; has a win under his belt and his six top 10 spots here, including a win tell us all we need to know about his knowledge of that crucial last hour. He was 12th in the Omloop then crashed out on Stage One of Paris-Nice. Below par or training like a mad man and well ‘up’ for it? We won’t know ‘til Saturday but he’s been third, seventh and 12th in the past and we do know that he’s classy as hell on his day. Author of a magnificent victory here last year, he’s been quiet thus far in 2019 but that means little if his early season is all about the Via Roma. Perhaps the best descender in the business and always with an eye for the ambush, he could do the double. 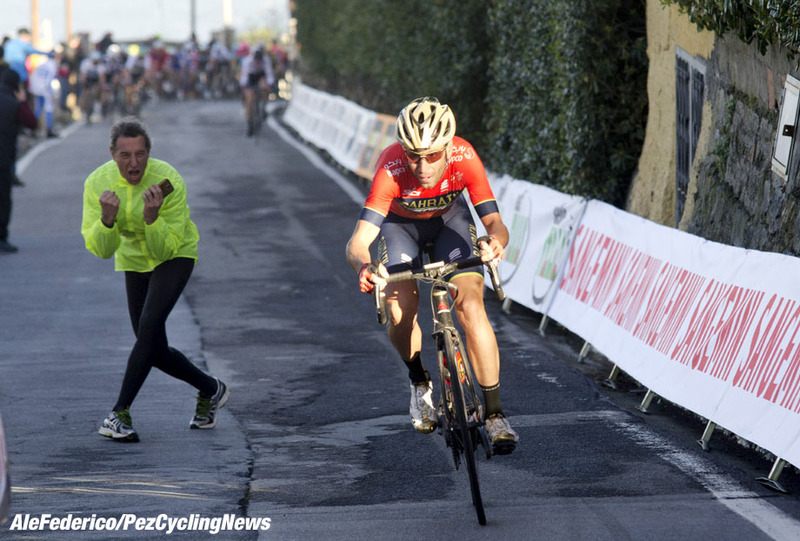 Two in a row for Nibali? With six top 10 finishes, including two second places here the man who can do it all in such nonchalant fashion must covet the win, even if he says he just likes to race and entertain. No one could grudge him the bouquet and if it’s a small group it just might be his year. Three World championships and a Primavera? Probably the fastest man in the world right now with four wins under his belt already in 2019 and 71 in total (at time of going to press). 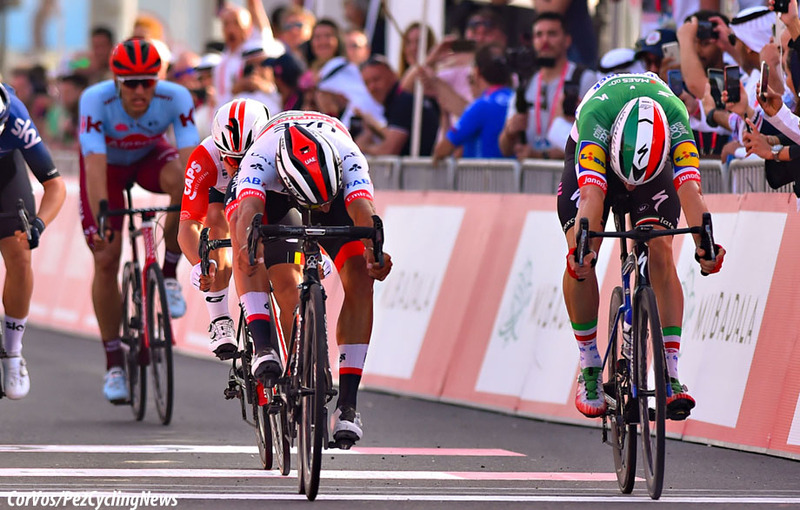 Winning the Primavera with the national champion of Italy’s jersey on your back, a sprinter’s dream – he’ll be ‘super motivated’ and has the best team there is behind him. He’s our favourite to do the job – but as my Italian PEZ colleague and fellow Primavera fan, Ale noted; ‘Julian and Elia will have to watch for those Astana boys Lutsenko and Fuglsang on the Poggio.’ And could the World champion, Alejandro Valverde (Movistar), be the man to pull off a surprise?